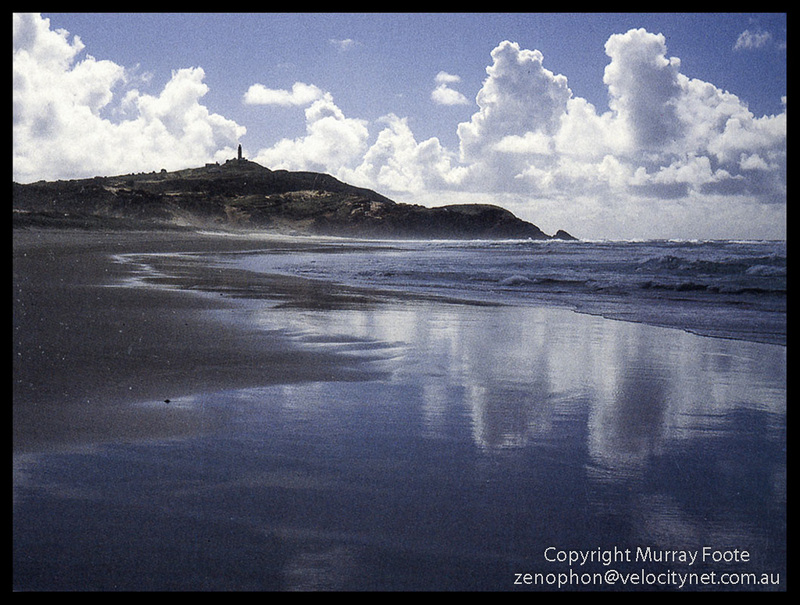 On 11th June 1987, I had returned to Brisbane and proceeded by ferry to Moreton Island which is just south of Brisbane. The bay where the ferry comes in is towards the southern end of the western side of the island. I remember a picturesque breakwater there made of dead ships but I do not have an image to show you. I was met by one of the lighthouse keepers and received a demonstration of how different the different kinds of four wheel drives can be. The journey to the lighthouse in a Toyota Land Cruiser was very rough and bouncy, whereas the journey back in a Range Rover was almost like being on a road. Probably Arca-Swiss monorail 5×4″ camera, Linhof Angulon 90mm lens, polariser, Fujichrome 50. 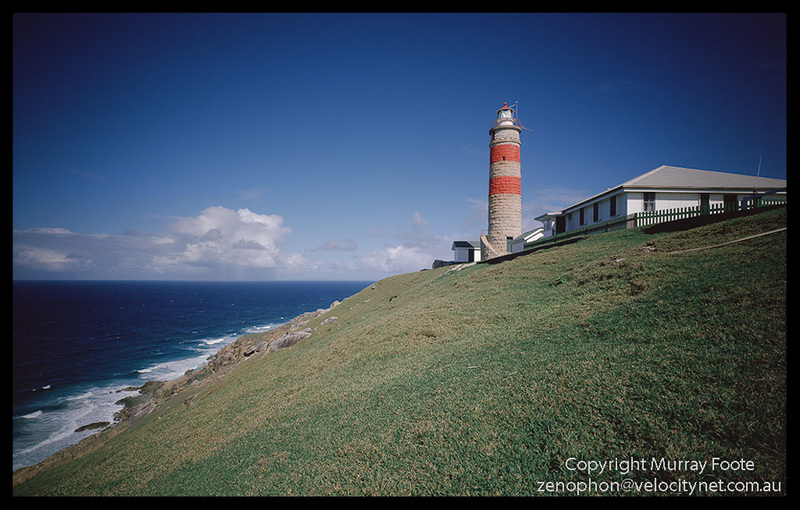 Cape Moreton was built in 1857 and is the only stone Commonwealth lighthouse in Queensland. You can see the staircase at the bottom of the lighthouse leading up to the main door. When a storm got up, whichever keeper was inside the lighthouse stayed there for the duration. This is because the door opened outwards and it was impossible to open it in a gale. The only other lighthouse that I encountered with this characteristic was Maatsuyker Island off Tasmania. 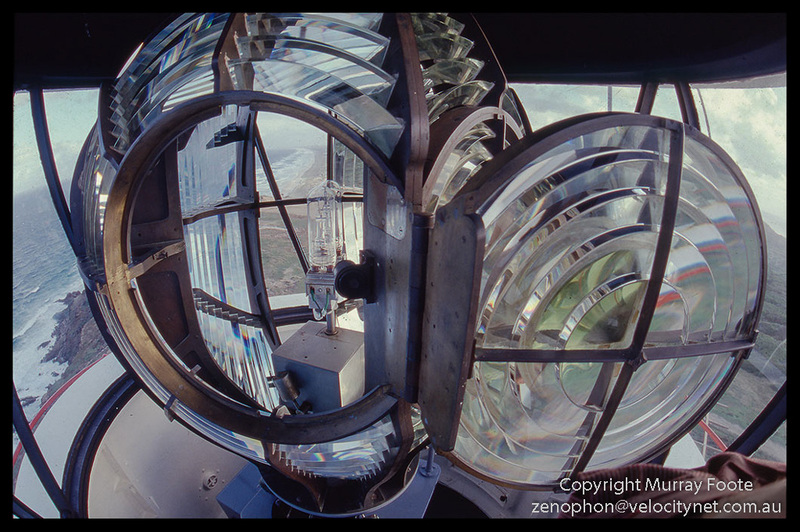 Here we see Cape Moreton prism with the door open so you can see the bulb. This is a fairly small one as some of them were large enough to stand up inside. And here is a view from the very top of the lighthouse, up above the railing and balcony. You can see the beach and the island stretching away into the distance. 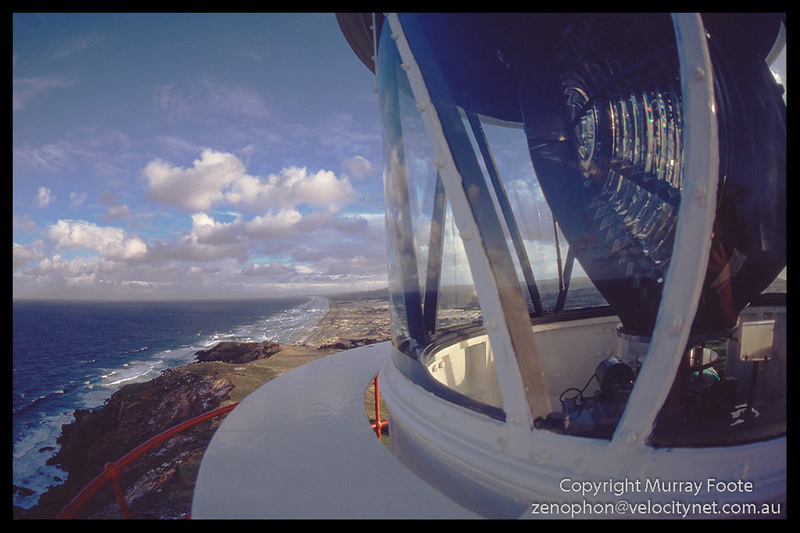 This entry was posted in Australia, From Dusk Till Dawn and tagged Architecture, Australia, Cape Moreton, History, Landscape, Lighthouses, Moreton Island, Photography, Queensland, seascape, Travel.